Types of lines: To make the drawing more expressive and easier to read, it should be presented in lines of different thickness and shape. 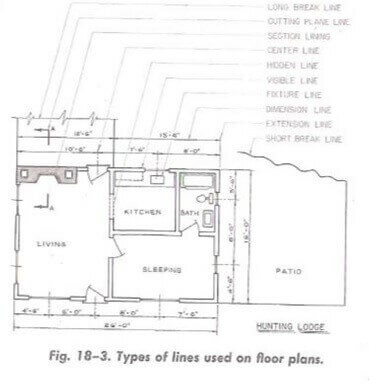 All lines should be clean-cut, opaque and of uniform width throughout their lengths. 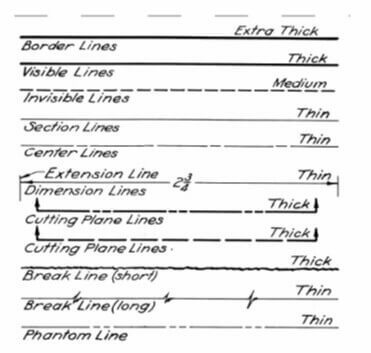 The various types of lines that are used are characterized as follows and are illustrated in Figure.